Paul Scholes' managerial debut got off to a winning start with a 4-1 victory over League Two strugglers Yeovil. The former Manchester United midfielder was indebted to Merseysiders Jose Baxter and Callum Lang for scoring the first couple of goals to kick-start his career in the dugout. Mohamed Maouche and Christopher Missilou completed the rout in the final two minutes after Bevis Mugabi had reduced the deficit. Scholes had his issues with one particular Jose in the last few seasons, admitting he expected scrutiny from Mourinho after criticising his Old Trafford reign, but he will have been delighted with the man-of-the-match version he inherited - Baxter. 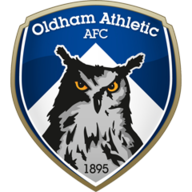 The new Latics boss, who plans to tap into contacts at his old club, handed a first start to on-loan United academy forward Zak Dearnley after he scored on debut at the weekend. 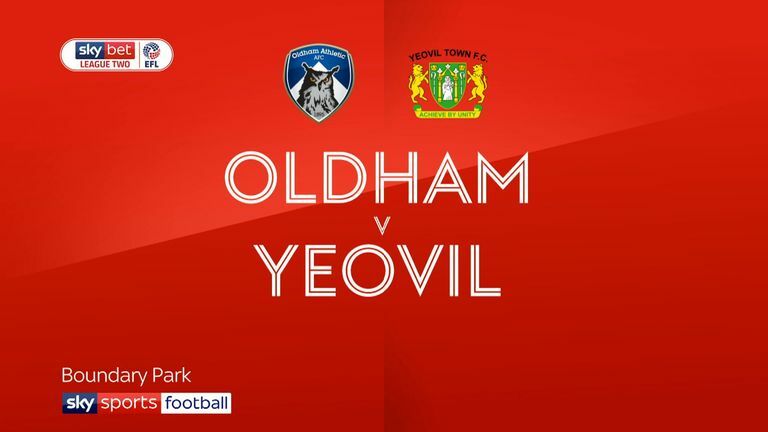 Oldham full-back Tom Hamer was injured in an aerial collision with Yeovil's Alex Fisher in the opening 10 seconds. Despite lengthy treatment Hamer was eventually replaced by Rob Hunt - a signal Scholes was exerting his authority as the defender had previously been banned from playing by owner Abdallah Lemsagam. 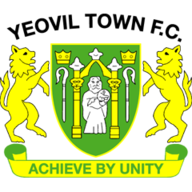 Lang, Gevaro Nepomuceno and Peter Clarke all wasted chances after the visitors' Jake Gray hit the foot of a post in the 14th minute. 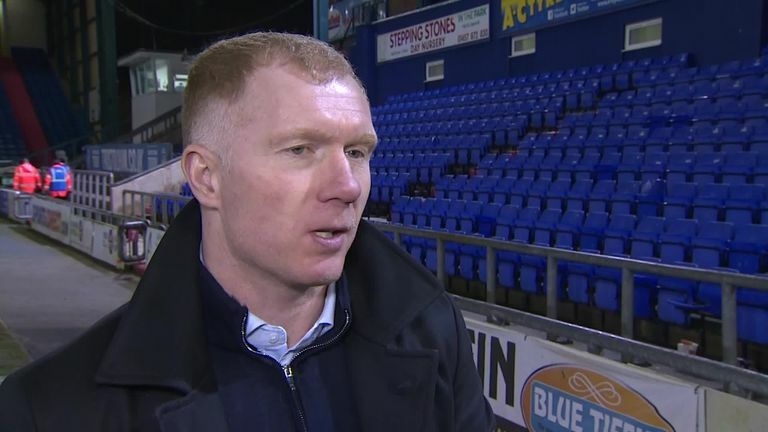 New Oldham manager Paul Scholes talks about winning his first game in charge and how he felt his team talk went. Baxter's composure from 12 yards in the fifth minute of added time - his first goal in five months - provided the breakthrough with a low, curling finish after Nepomuceno and Johan Branger-Engone combined down the left. When Lang headed in Nepomuceno's cross six minutes after the break Scholes was high-fiving his backroom staff, although they were wringing their hands when Mugabi pulled one back from close range moments later. The nerves were eased in the final two minutes, however, with Mouche and Missilou firing home from outside the box.